With solar panels deployed in the file photo, a SpaceX Dragon spacecraft arrives at the International Space Station with cargo for the SpaceX CRS-9 mission on July 20, 2016. Dragon’s solar arrays are unfurling and the spacecraft is on course to deliver more than 5,800 pounds of supplies, equipment and experiments to the crew aboard the orbiting laboratory. Arrival is scheduled for April 4 with grapple planned for 7 a.m. EDT. Expedition 55 Flight Engineers Norishige Kanai of the Japan Aerospace Exploration Agency, backed up by NASA astronaut Scott Tingle, will supervise the operation of the Canadarm2 robotic arm for Dragon’s capture. 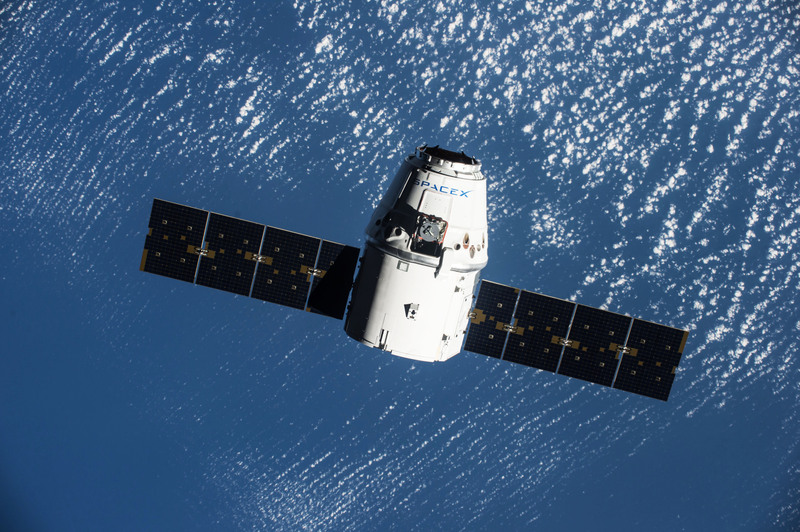 After Dragon capture, ground commands will be sent from mission control in Houston for the station’s arm to rotate and install it on the bottom of the station’s Harmony module.